In the coming years, with groundbreaking research in the interdisciplinary areas of science, medicine, healthcare and technology, it is possible that chemical batteries we are familiar with will be completely replaced. Reasons to seek alternatives include bulkiness, instability in extremes of temperature, toxicity of chemicals and low sustenance. Taking inspiration from the electric eel, a team of researchers from the University of Michigan, San Diego’s University of California and the University of Fribourg in Switzerland have developed a natural, self-charging “body-friendly” product that will in the future be able to charge implantable devices such as pacemakers, health monitors, medication dispensers, sensors, prosthetics and even virtual reality contact lenses. Co-author of the paper and biophysics professor, Micheal Mayer, believes that these kinds of developments could even pave the way for bioelectric systems via electricity generated by the human body. The findings of the study have been published in Nature. The electric eel (Electrophorus electricus) is a powerhouse of electricity, as the name suggests, because it can generate high voltages, up to 100 watts, in an instant. The reasons behind this ability is so that the eel can defend itself from predators, stun its prey, and enhance its movement through dangerous environments. In a phenomenon called transmembrane transport, potassium or sodium ions in the eel’s organs flow together (in the resting phase, they are separated by a membrane) causing a powerful electric discharge. In an attempt to make a soft power source, scientists mimicked the electric knifefish’s body by creating biocompatible cells made of chloride and salt dissolved in a basic hydrogel. Droplets of salt were printed and placed on a sheet by alternating it with water. 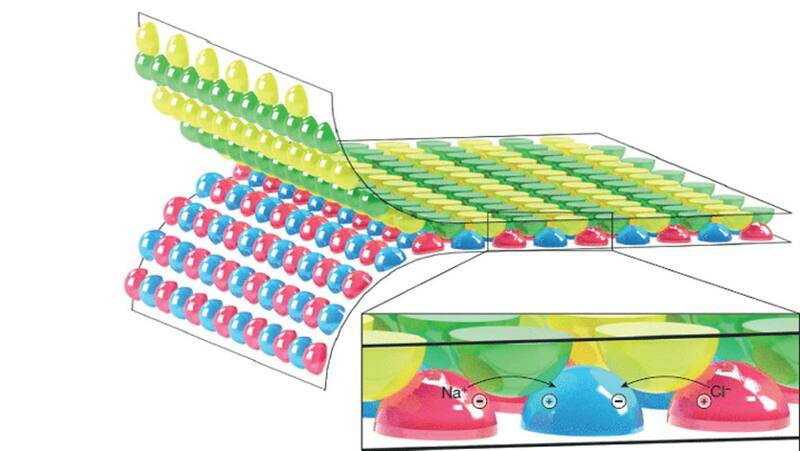 To resemble a selective membrane, another sheet was dotted with hydrogel droplets to allow the passage of positively or negatively charged sodium ions. When the specially created sheets were folded together rapidly with a certain amount of pressure, the solutions mixed together producing electricity. Also, the arrangement was completed in a ‘Miura’ pattern, an origami technique invented by the Japanese, primarily used to compress solar panels when space-bound. As mentioned by the researchers, the results are far from the biological phenomena occurring in eels, and the efficiency of the device does not measure up. But there is ongoing work to develop more effective hydrogel membranes, along with research to replicate the natural processes better. If electricity can be produced within the human body, it could mean the development of a long-lasting power cell, which can supply integrated devices, and possibly the elimination of replacement surgery. Now, that sounds more like an innovative and medically sustainable future!